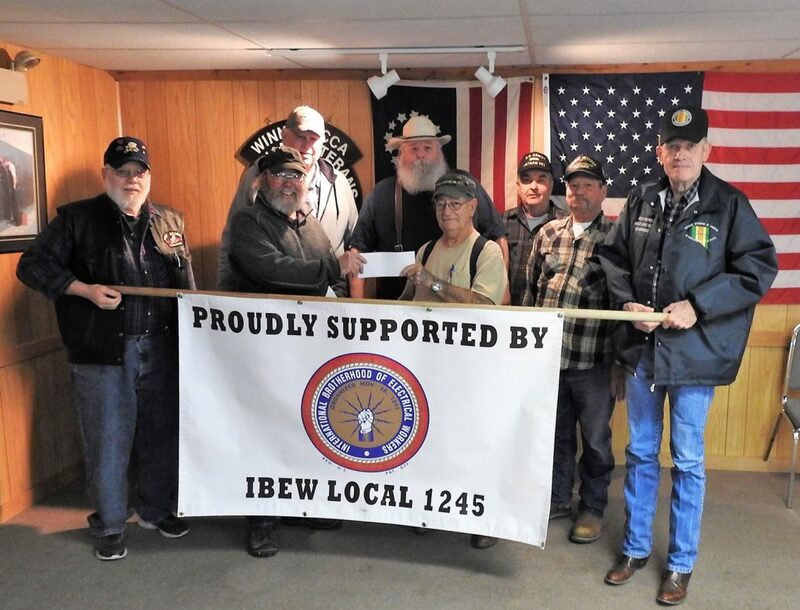 Members of the IBEW Local 1245 Winnemucca Retirees Club presented a donation to the Vietnam Veterans of America (VVA) Post #744 in Winnemucca, NV to help the post further its mission in support of Vietnam Veterans. Winnemucca Retirees Club Treasurer Michael Dean presented the check to Post President Denny Parquette. Local 1245 retiree Jack Pardick is holding the IBEW banner on the left.